We’ve gotten a little bit of snow in the Oklahoma City area today. Alright, alright … we had a blizzard! It will definitely be a white Christmas. In case any friends and family check this site, I thought I would post a couple of photographs to show how much snow we have at this point. 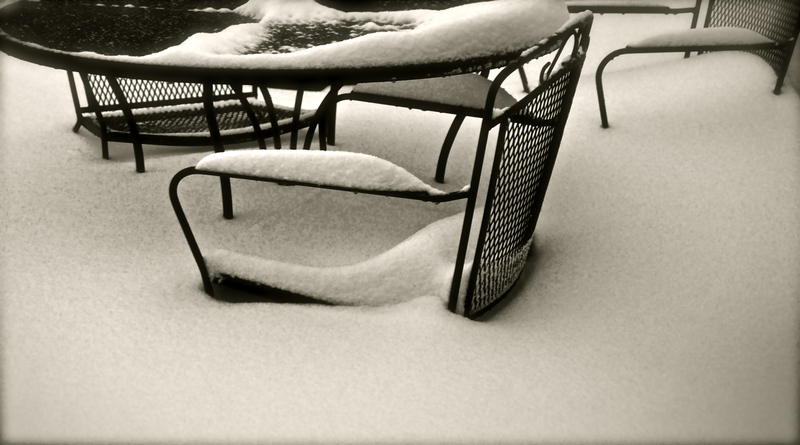 Earlier today I snapped this photo of our back patio area. 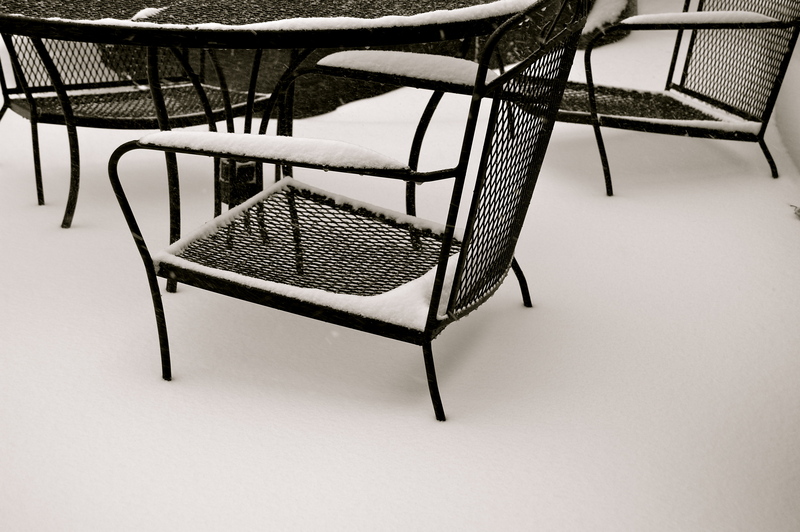 Notice the depth of the snow on the chair legs. This was around 3 p.m.
that’s awesome! the nap, i mean.